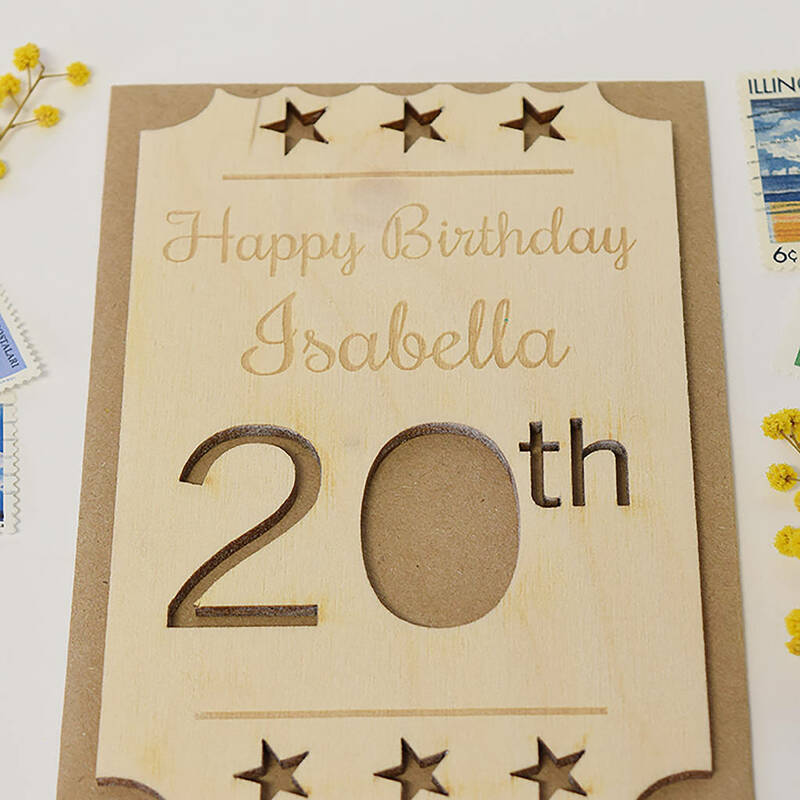 Celebrate a 20th birthday milestone with our unique Personalised 20th Birthday Wooden Postcards, individually made from birch ply plywood carefully engraved with their name. 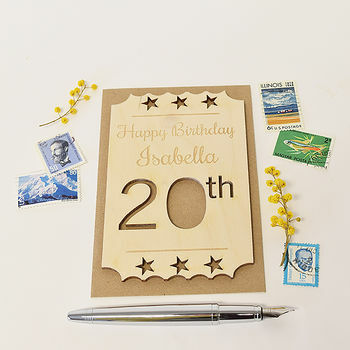 Contemporary personalised 20th Birthday card alternative to the usual paper card, our wooden engraved keepsake cards are a unique choice and make a lovely memento after the birthday event. 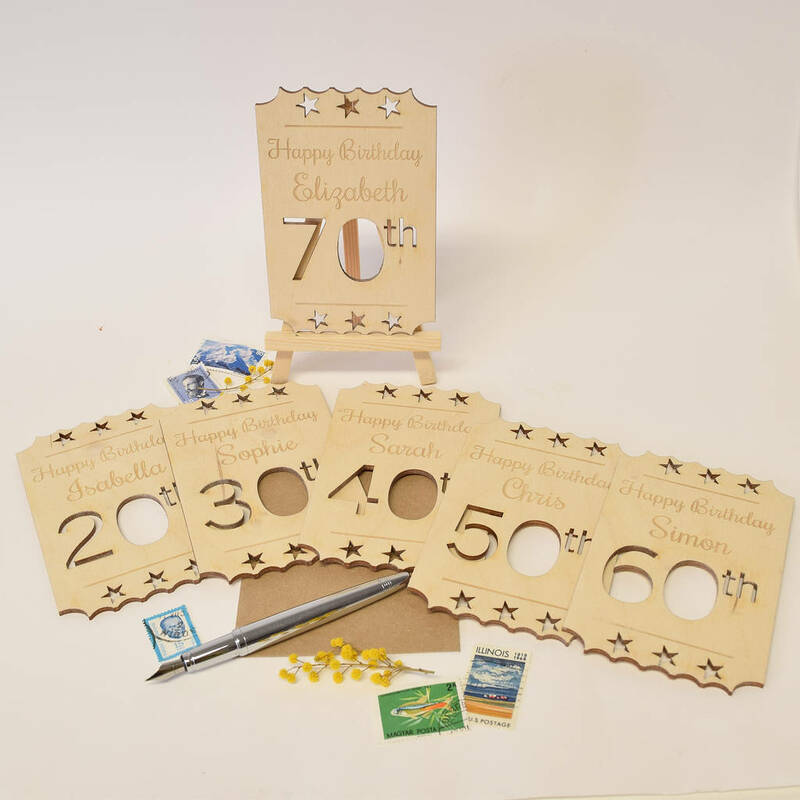 We want to help you mark those special milestone Birthdays, our wooden cards make a lovely eco-friendly option to choose. The wooden keepsake card comes with an envelope. Please tell us the name that you require and we will cut it out for your card. 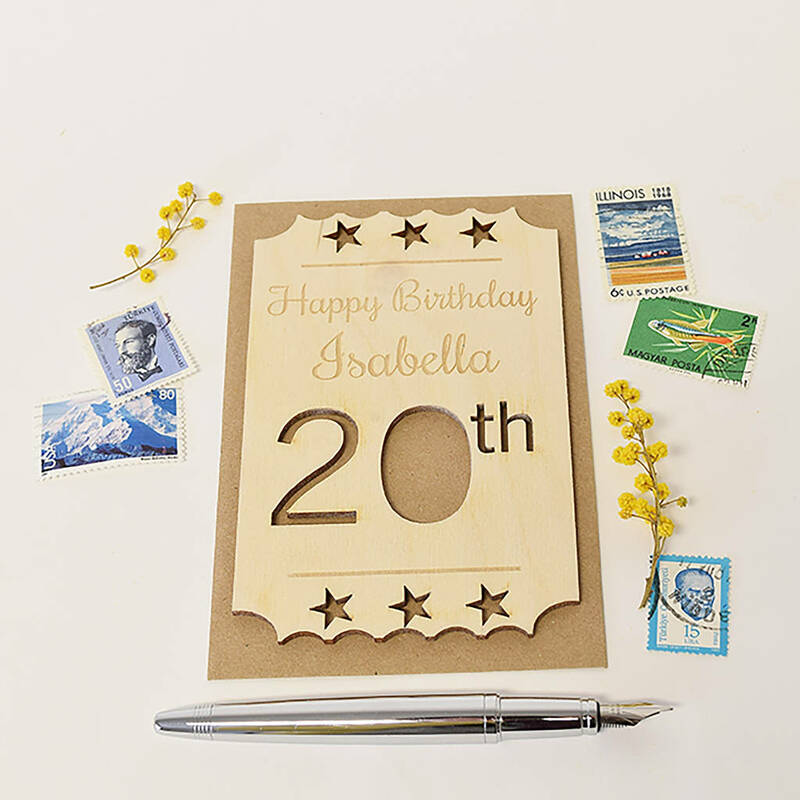 Our wooden keepsake Postcards are unlike any other greetings card, all our designs are unique to us, we make a range of contemporary wooden postcards which are more than just a greetings card. We hope that they will become a treasured keepsake and we think they would look charming framed after the event. Please chhose from 20th, 30th, 40th, 50th, 60th, 70th, 80th 90th or email us for a bespoke age. All postcards come with a craft card envelope.